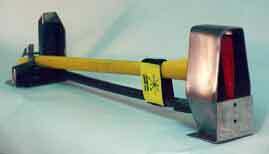 The luminous force axe comes with an 8 pound lock slot head and a luminous fiberglass handle. 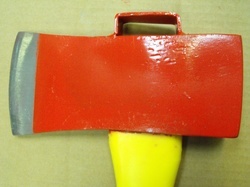 Super 32" yellow fiberglass handle with a "deer hoof" holder. 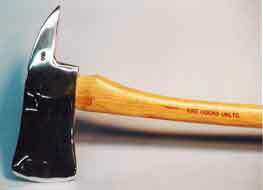 Three times the strength of a regular axe handle. carry additional tools or for other tasks. AN ORIGINAL FROM FIRE HOOKS UNLIMITED. 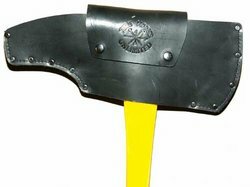 Our Force Axe is 8lbs and the ideal tool for forcible entry. 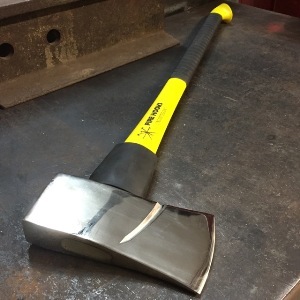 This axe offers a large strike surface, balanced design and a contoured head to be used as a wedge when necessary. 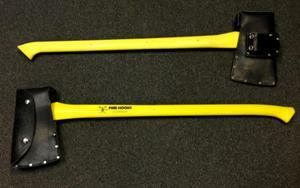 Our 8lbs Pick Head Axe offers a large spike to maximize penetration into roofs. 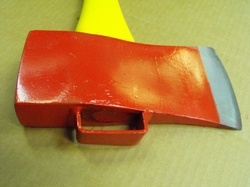 Fiberglass 6 lbs. 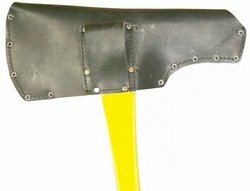 pickhead axe with overstrike protection and exclusive self extinguishingceltex grips. Will fit all truckmans belts and is 28" long. DYNAMIC-TRIO (DT) features the "IRONS" - 8lbs. 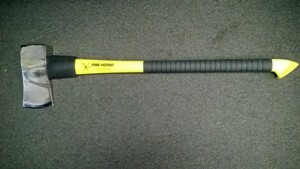 Force Axe, 30inch Pro-Bar, Marry Strap. We also offer our DYNAMIC-FOURSOME (DF) which features the "IRONS" - 8lbs. 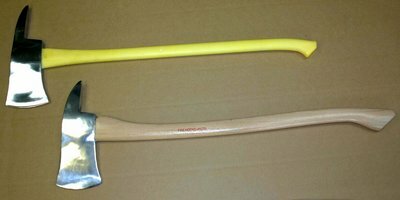 Force Axe, 30inch Pro-Bar, Marry Strap, and K-Tool Unit. Also pictured is the IRONS NEST (IN-1) mounting system, which can be mounted vertically or horizontally. 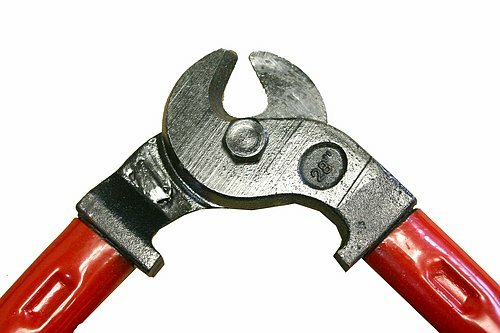 NON CONDUCTIVE CABLE CUTTERS - Model #NCCC-28 inches long with 17" long of solid fiberglass handles. Rated fiberglass at 25,000 volts per inch with added celtex for a no slip grip. Made for house current and low volt operations. HIGH VOLTAGE SHOULD BE LEFT TO YOUR LOCAL UTILITY COMPANY. 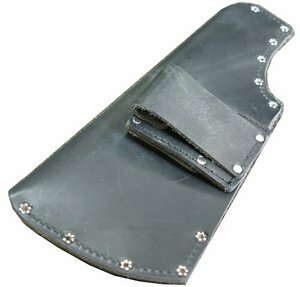 Our newly designed Axe Sheath with full leather flap. 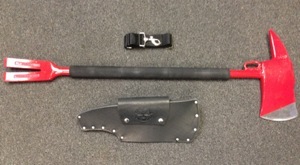 Dual attachments of CLIP GROMMETS on a large belt loop (3-inch) can hold both our T-AXE and the 3-LBS TRUCKMAN'S AXE. 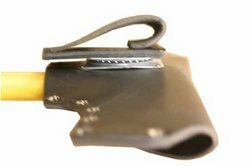 The clip grommet attachement is for our seat belt quick release strap. Can be worn as a waist or shoulder belt. Press our quick release button if any hang-ups happen, and the whole unit drops off ... Another first to be safe.